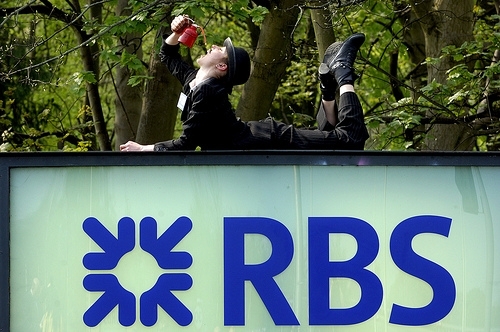 Bankers this year have been rewarded for doing a ‘good job’. Bonus pot: £600,000 million. Some pretty significant figures that the bank should never have been in a position to pay. If the RBS was really making headway to being sustainable and acting in the interest of us and its shareholders, we would surely expect a much stronger annual report, and a move towards investments only in sustainable projects. Hester is quoted on the BBC website this morning as saying “…my job is [to] deliver an RBS that other investors want to own shares in…” This is true, but he must also remember that RBS is still owned by UK taxpayers and it is also his job to ensure that the bank is cleaned up and takes good care of our investment. Stopping defrauding us, manipulating us, lying to us and trashing our climate and environment would certainly be a good place to start. Hester has a lot of ground to cover in the final year of his plan. 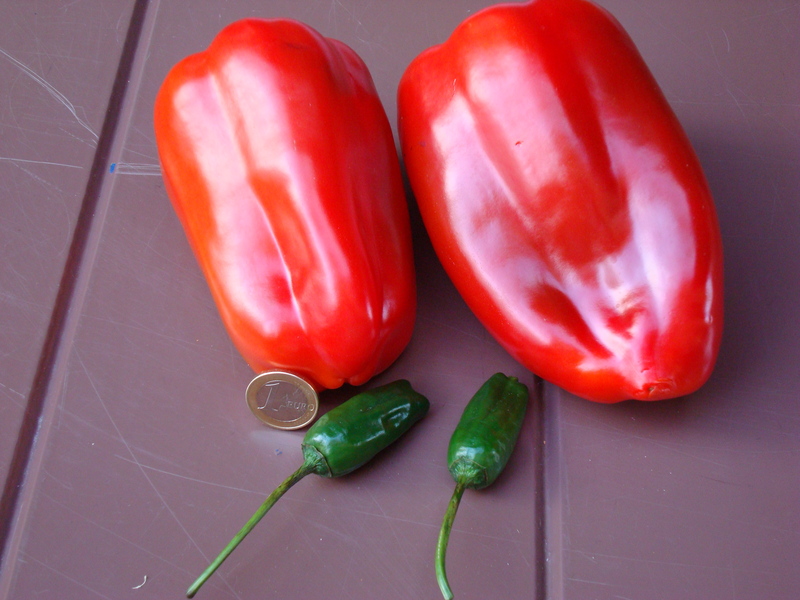 Mojo rojo, mojo verde, mojo picón are sauces or salsas típica de Canarias. Can liquidise or use mortar and pestle. Add rock salt, three cloves of garlic, peel of small peppers, then pulverise. Add vinegar and olive oil in the ratio of one-two. Add rock salt, three cloves of garlic, peel of large peppers. Liquidise. Add chilli powder. Add vinegar and olive oil in the ratio of one-two. Either method takes about five minutes. Bottle and store in fridge. I ask how this is made. I am sent to vegetable shop, come back with peppers. It is made in front of my eyes. I am given samples to taste, then it is bottled for me to take away. Muchas gracias Ana en El Limón por su ayuda. Mojo Rojo is a sauce or salsa of the Canary Islands. It comes in two types, mojo rojo or mojo verde. Can liquidise, this method uses mortar and pestle. Add three cloves of garlic and course salt. Pound. Add olive oil to get appropriate constituency. Add other ingredients, a spash of vinegar. Add sweet chili powder or hot chili powder depending how hot you like your sauce. Mix. Takes about five minutes. Many thanks to head chef at Hotel Florida and Ana in El Limón. Recorra la ruta de aromas y sabores del mundo. Especialistas en café, té, especias y accesorios. Degustación diaria de nuestras gran variedad de té e infusiones. 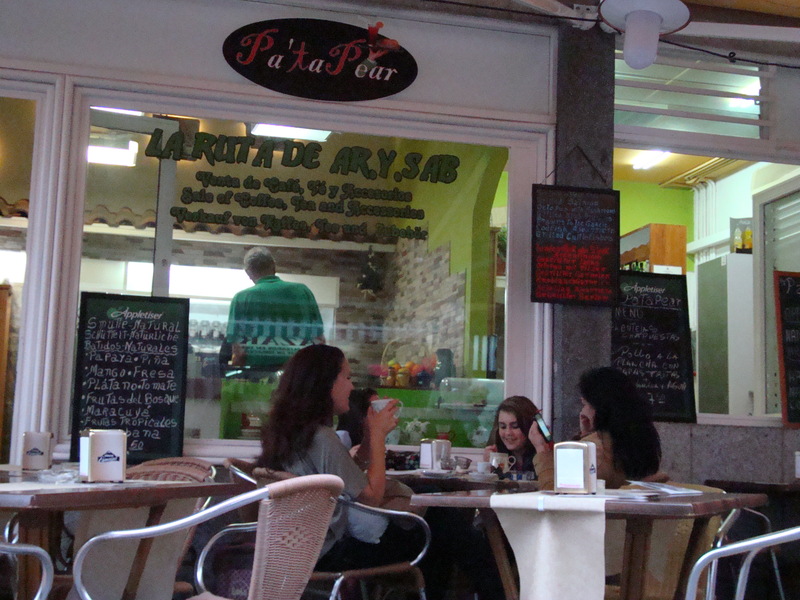 A small tea shop in Puerto de la Cruz selling a wide variety of fresh teas and coffees with an associated tea shop serving fresh teas. A pleasant change to Imperial Teas of Lincoln where instead of being shouted at for suggesting the possibility a few pictures may be taken, welcomed with open arms. As well as teas and coffees, a wide selection of tea pots in porcelein and ceramic from Japan and China, but sadly not the cast iron tea pots found in Imperial Teas. I suggested they had a loyalty or bono card to reward loyal customers. I will suggest the same to El Limón and that this is from where they source their teas, maybe have half a dozen or more in tin or jars, as does Pimeno Tea Rooms in Lincoln. 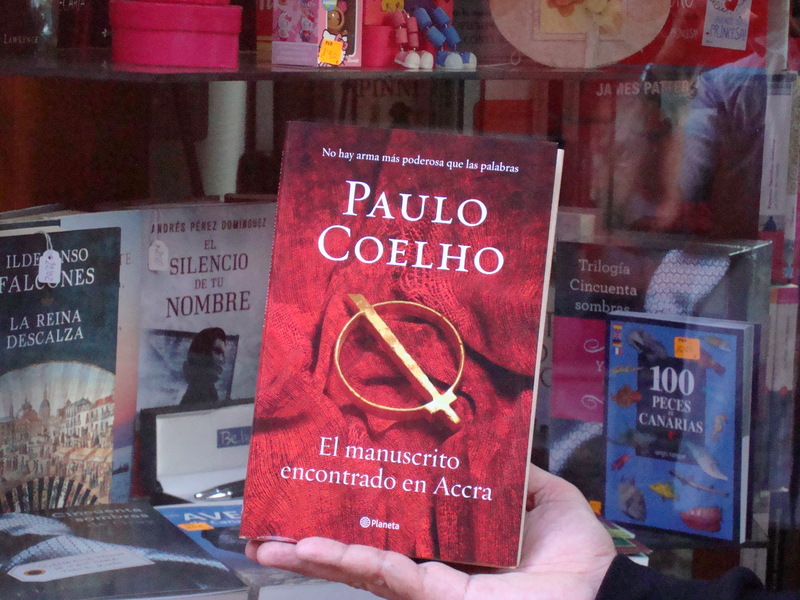 El Manuscrito Encontrado en Accra por Paulo Coelho encontrado en librería en Puerto de la Cruz. There are writers who can write one novel, no more, others who write one novel, then endlessly regurgitate the same novel, peopled with the same characters. Paul Torday falls into the latter category. One excellent novel, Salmon Fishing in the Yemen, then endless similar novels with the same characters. Not shallow cardboard cut out characters, but incredibly boring characters, who all merge into one, shooting, fishing, golf, dinner parties, and not much else. You get the impression his characters are in late middle age, such is the boring tedium of their lives. It comes as a shock to find they are only in their late thirties. Eck was in the Army, now is is in the City, he works for a hedge fund. His job is to introduce his boring frinds to the hedge fund, it is for others to relieve them of their money. High risk gambling, the casino side of banking. Charlie Summers is a hopeless case. We all know or have met someone like Charlie. I used to know a man and his wife. They had a shop selling trinkets and cheap jewelry. It failed. They then went into clothes. That failed. Then fish. That failed too. Eck meets Charlie whilst on a trip to France with a friend. From then on, their lives become entwined. The Hopeless Life of Charlie Summers does for casino banking what The Winner Stands Alone did for fashion and Two Caravans did for the food industry. I was in two minds, go to the Scandinavian church or the midday concert. I was not in the mood for a midday concert, went to church, but after ten minutes, thought no, I will go to the concert. I was greeted with a glass of red wine, very good red wine. I settled down for the concert to begin. Coro de Cámara de Garachico are a choral group of seven, three women, four men. If I was expecting something like The Sixteen, Early Music, Victoria, then I was in for a grave disappointment. The music was Spanish and it was music I was unfamiliar with. Once I got over my disappintment it was not Victoria, I quite enjoyed it. The audience were very enthusiastic. Whether they were performing as writ, or their own improvisations and arrangements I do not know, but I suspect the latter. The background was Castillo de San Felipe with its excellent acoustics and art by Nuria Meseguer which seemed to float off the walls. The audience Spanish and German, no obvious tourists. No young people, but otherwise a reasonable spread, not as badly screwed to 60+ as in England. After the concert the group vanished. Grrr, when are musicians going to recognise, those days are long gone, they have to hang around and engage with people, chat, answer questions? I sought them out and managed to find one who spoke English. I asked did they perform Early Music, Victoria? They said yes, and invited me to a concert in Garachico in March. No, they had not recorded anything, and yes they agreed, a pity no live recording of their midday concert today as the acoustics in Castillo de San Felipe are excellent. They liked the idea of bandcamp, should they make a recording. Chatting to the lady who organised today´s concert, I asked where the wine was from, was it local, as it was excellent? She said no, indicating a flagon of wine, it was from Malaga, and yes, it was excellent, would I like more? Having already had two glasses of wine, I declined. She told me the concert was part of series of weekly matinee concerts, fund raising for Asociación Cultural Reyes Bartlet, that the money raised went to support school concerts. She said there was an excellent guitarist playing outside. I agreed, and said I had met him a couple of days ago. I suggested why not invite him to give one of their lunchtime concerts. This she thought an excellent idea. I rushed out to Alejandro Possetto who was playing to give him this excellent news. He thanked me and gave me another of his CDs. He has not quite grasped <a href="bandcamp” title=”bandcamp”>bandcamp, thinks it is something I am dong for him. I explained no, and if he did not understand, to get someone technical to do it for him. 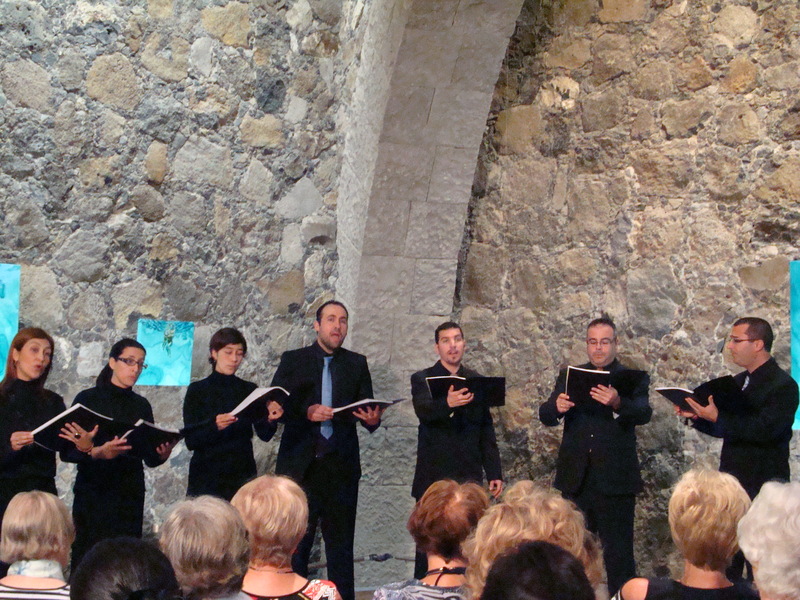 There is also an upcoming festival of Early and Baroque Music (Festival de Música Antigua y Barroca) in Castillo de San Felipe and the main chucrh in Plaza de Iglesia in March and May 2013. 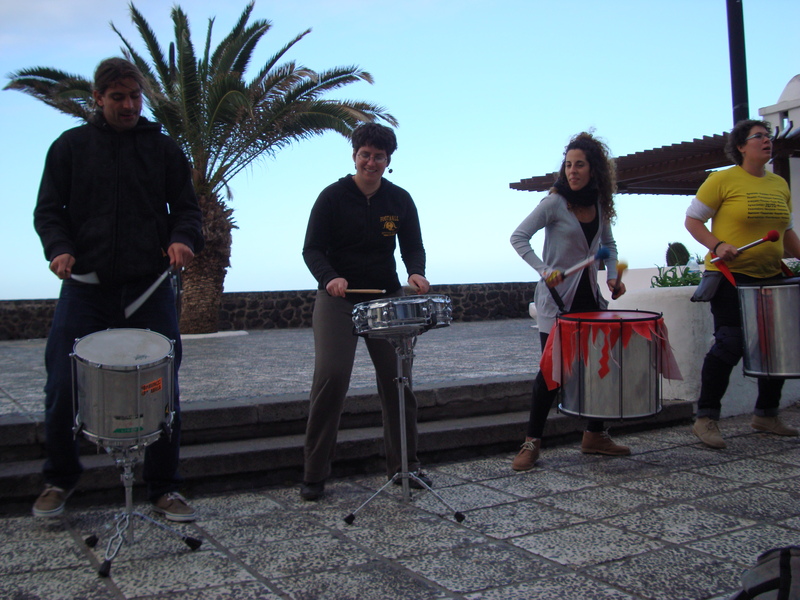 I came across Tambawa Percusión, or at least four of them, playing on the seafront in Puerto de la Cruz. I could hear them from some streets away, and so I followed where the sound led me. I found four drummers playing on the sea front. They were excellent. I stayed until they had finished, even though it had been cold all day and had now late afternoon turned very cold with a very cold wind blowing in off the sea. When they had finished, we had a chat. They told me they are eight, but today only four playing. They have not recorded anything. I suggested when they did, they uploaded to bandcamp. I also suggested they had a sign, help us make a recording, as maybe they would then collect more money, if people thought them to be good, they would be willing to help them make a recording. I told them they reminded my of Bloko del Valle, who performed two years ago at Carnival in Puerto de la Cruz, though whilst we were talking I could not remember the name. I was curious, were they from Brazil. No, but their drums were. They asked was I from Brighton? I said no, but that Brighton was a good place to visit. The market on a Saturday is very busy as they also hold a street market. There is no a spot of ground to be seen, stalls of all shapes and sizes are squeezed in. On the first floor, fruit and vegetable stalls, and other food shops. I was sorry though to see the excellent deli had been reduced from two shops to one shop, maybe a sign of the times. Harry´s Gourmeteria is bucking the trend of empty bars and restaurants. Last year he expanded from one to two shops, his tables and chairs have expanded beyond his own frontage and are now in front of a shop that has closed down. It used to be Harrry and his wife, now he employs three staff. When I arrived, after wandering arond the stalls, every table and chair was occupied. I did not though have long to wait before a table was free. I ordered what I can only descibe as a potato fritter, I think Harry calls it potato cake. It would usually be served with apple. This I did not fancy. Harry suggested I had smoked salmon, which seemed a good idea. 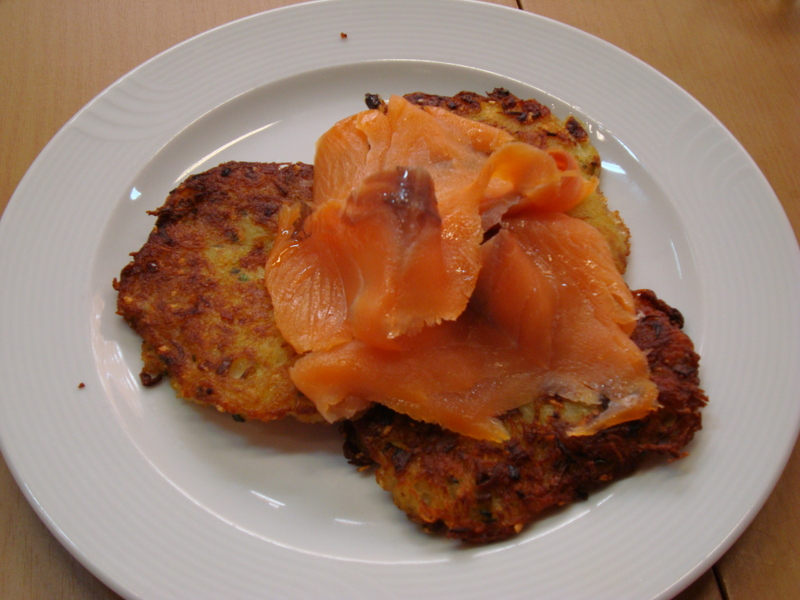 The food, as always was excellent, though the potato cake a little too oily, too greasy, it needed a piece of bread. I mentioned this to Harry when he asked how it was. I said I could tell he had not cooked it and why. You are currently browsing the Keithpp's Blog blog archives for February, 2013.